Expedition PCB is an integrated environment for the design of printed circuit boards, including interactive and autotracing. DxDesigner is a developed and scalable environment for creating and editing circuit design projects, integrated with Expedition PCB and other topological editors. 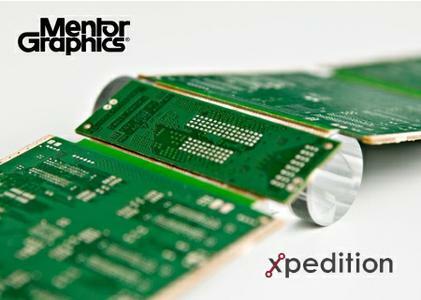 Xpedition� Enterprise from Mentor Graphics is the industry's most innovative PCB design flow. It can be reduced by 50 percent or more while significantly improving the quality and resource efficiency. Part of Thanks All thanks are sent to the source who wished to remain anonymous. We respect this desire, but do not forget to thank. Memory:8 GB Recommended Swap Space: 2X. CPU Not RecommendeD:Intel Celeron processors. Minimum requirement is a dual-core (or dual processor) system. -A quad core is recommended for improved overall system performance. -A hyperthreaded processor should not be considered a single processor, not a dual processor. -Server may have different requirements. Consult the xDM Server documentation for details. -For best results, maximize processor speed L1 / L2 / L3 processor cache memory. -Typically, it's better for the system.